When you come in for pet vaccination services, you can rest easy that we’ll help you and your pet feel comfortable. At Cherished Companions in Castle Rock, Colorado, we tailor our cat or dog vaccinations to your pet. We’re here to help you figure out which shots make the most sense for your pet family — and how often they’re needed. We strongly believe that most cats and dogs don’t need every pet vaccination known to veterinary medicine. Help you make good decisions for your pet. We’ll recommend the pet vaccinations that your dog or cat should have to be protected, while keeping your pet’s individual lifestyle in mind. Check your pet’s overall health. We always include a wellness exam with our pet vaccination services. Similar to a wellness exam for people, it helps us catch any health issues with your pet early on. Take the time to learn about your pet and clearly communicate which pet vaccinations are important, so you’re in the know. Puppies, kittens and senior pets are more vulnerable to diseases, so we want to make sure you understand what’s essential and what isn’t. Our Castle Rock veterinary clinic is open Monday through Saturday. Our pet vaccination services take approximately 30 minutes. If your pet has a health issue that needs attention (such as an ear infection), your appointment may take a little longer. If your last veterinarian has that information, we’re happy to call and request it from the other vet. We can make the call when you arrive. Or if you let us know in advance, we can get that information sooner, making great use of your time. Sharing your pet’s vaccination history will save you money because we won’t have to repeat vaccinations that are up-to-date. If your pet is healthy, the shots typically come next. The good news is they’re quick and relatively painless! “When I brought my dogs in yesterday, we all had an excellent visit. I appreciate the thorough check of both dogs and the loving way they were treated while giving them their shots… Thanks, everyone!” — Jane R.
“Our experience was a good one. We were seen right away, and everyone was friendly and professional. Rusty had no problems or reactions after his rabies shot.” — Shirley H.
Do our pet vaccination services sound like a good fit? What’s the right pet vaccination schedule for my cat or dog? With some vaccines, there’s a clear pet vaccination schedule. For example, the state of Colorado requires the rabies vaccination. Your dog or cat should get it once a year for the first two years of his or her life. After that, it’s needed once every three years (with a few exceptions). 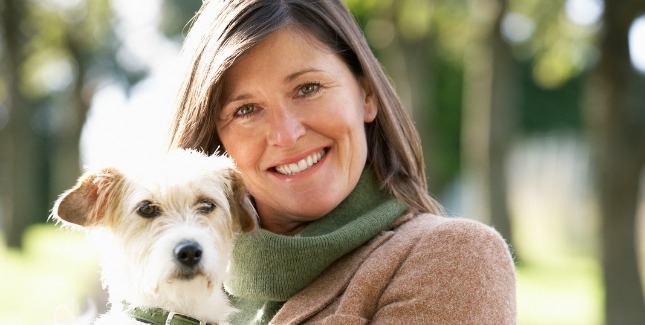 With other pet vaccination services, the schedule depends on your dog or cat. We recommend discussing pet vaccination schedules with our veterinary team when you visit. Depending on your pet’s breed and lifestyle, your pet may not need vaccinations every year. If you’re going to board your dog or cat, the boarding facility will likely ask you to provide records of your shots. Some pet vaccinations — such as Bordetella shots — take five days to take effect. In addition, some Castle Rock boarding facilities require shots at least seven days in advance, so plan ahead! What do I need to know about puppy vaccinations and kitten vaccinations? Puppies and kittens are vulnerable to serious diseases, so they need a series of shots when they’re young. On your first visit, we’ll share important information about puppy vaccinations (or kitten vaccinations), such as what each shot does. That way, you can make educated decisions for your little one. 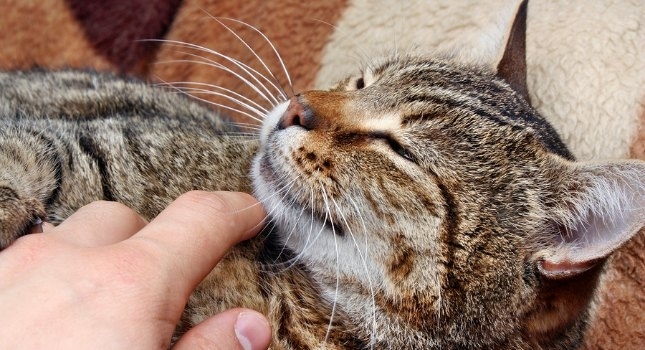 Why do you check whether my pet is healthy before giving a vaccination? This is a great question. There are a few reasons. First, some pet vaccinations are designed to protect against bacteria-based illnesses, such as Bordetella and Leptospirosis. If your pet is sick and we have to put him or her on antibiotics, the antibodies can stifle the vaccine before it stimulates your pet’s immune system. We want the vaccines to take effect! Second, if your pet isn’t well, a vaccination can potentially be dangerous. For example, we had a family bring in their pup in for dog vaccinations. During our wellness check, we discovered the dog had a high temperature. Ultimately, our veterinarians determined that the dog had an autoimmune disease. If we had gone ahead with the vaccination, it could have had serious consequences. And finally, the vaccine manufacturers require us to give their pet vaccinations to healthy cats and dogs. While it’s rare for pets to have an adverse reaction, it can happen. If it does, we can quickly take the right steps for your pet. Schedule pet vaccination services today! “We were very happy with our first visit for both of our dogs! Every single employee was very kind, accommodating, and knowledgeable, and each person gave our dogs love and attention. Dr. Melanie was wonderful with both of our dogs and provided us with great explanations, suggestions and choices. The waiting room and patient room were very clean, and the office had a nice fresh scent -- unusual for a vet office! Most importantly, our 7-year-old dog and our 11-week-old puppy responded well to the employees and the surroundings. Our older dog did not show the signs of considerable anxiety he's had with past vets. We've moved quite a bit, and we've seen about 6 different vets in the last 11 years. Thankfully we are not moving again because this vet, by far, was the absolute best!" Steven K.